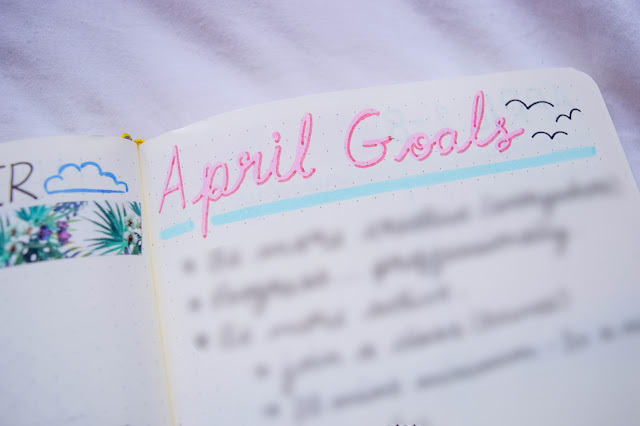 I love bullet journalling and one of my favourite things to do is to plan the month ahead. I love going on Pinterest looking for inspiration and taking some of my favourite things and figuring out a theme. 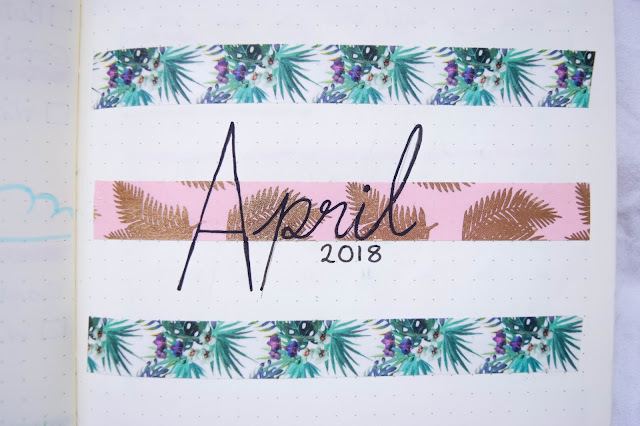 For April, I was inspired by some pretty tropical coloured washi tapes I got from Hobbycraft and so April's theme is simply: tropical! 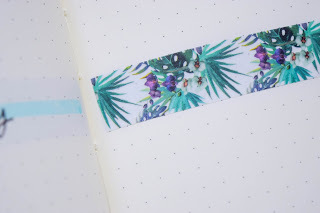 I love tropical as a theme in general, being a lover of cacti and bright colours, I feel this theme reflects me really well. Also, my dad used to call me a flamingo because I had a habit of balancing on one leg all the time at work, haha! 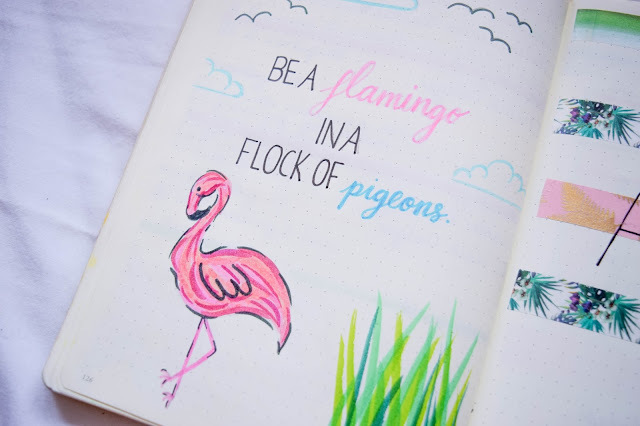 The quote: 'Be a flamingo in a flock of pigeons' has always been my most favourite quote. It reminds me to stay true to who I really am and to never be afraid to stand out from the crowd or to be different. Its a quote that has always empowered me so much so that I wrote it on a mug. (You might have seen it before here.) I chose this quote for April because it's a quote I feel would inspire me in my life right now and because it fits with my theme. 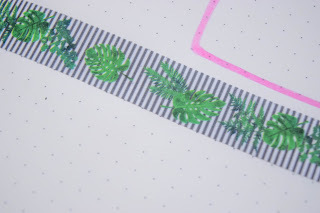 Of course for my month's welcome page I have April 2018 with some simple but effective washi tape strips over the page. I felt that having some of the tapes that would be running through the month on the welcome page would set the theme well. 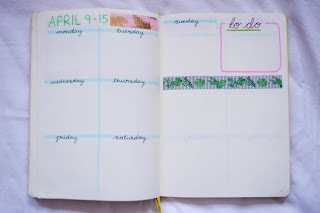 I tried to write April in my regular Uniball fineliners but with the pink tape having the gold foil, it didn't dry and so I went back over it in a Posca pen. For my monthly overview I've decided that this is the layout I prefer. 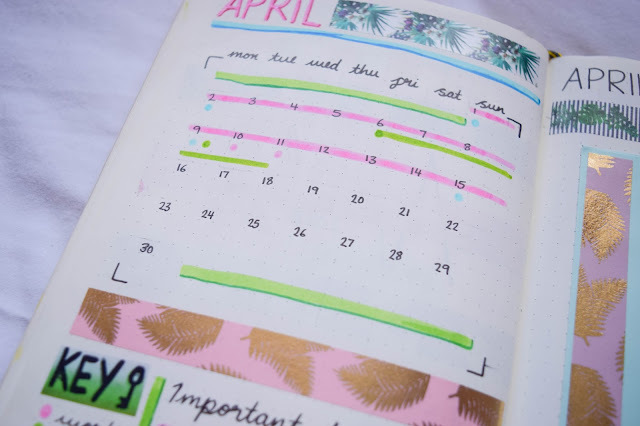 I like having the whole month on one page and I like having a key and a space to write down important dates simply because keeps things organised and much neater. It also means I can keep tabs on things related to work, home and my social life better and control anything that might overlap. This has worked with me for two months and so I've finally found a set up that works best for me! With that said I do like to change it a little and so with a little Pinterest inspiration I found a calendar layout I liked the look of and thought I'd try it out. 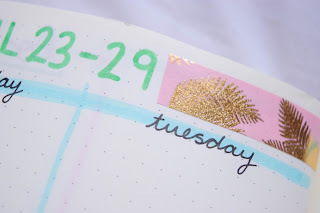 It's not my favourite but it works just as well as a regular calendar look! 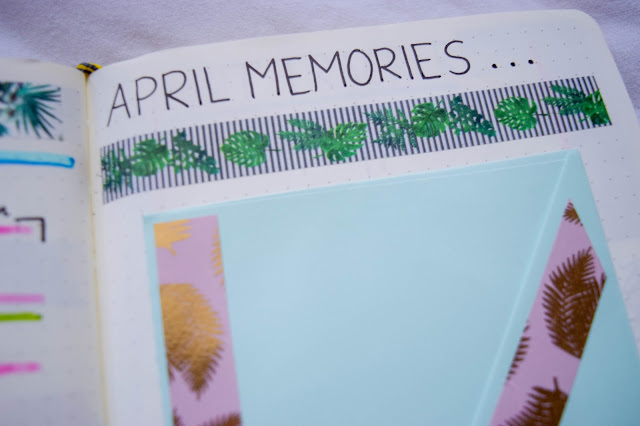 Even if I don't use them (like I didn't last month) I like having a 'memories' page where I can drop off little bits of paper like receipts, tickets and things like that to remind me about the month. 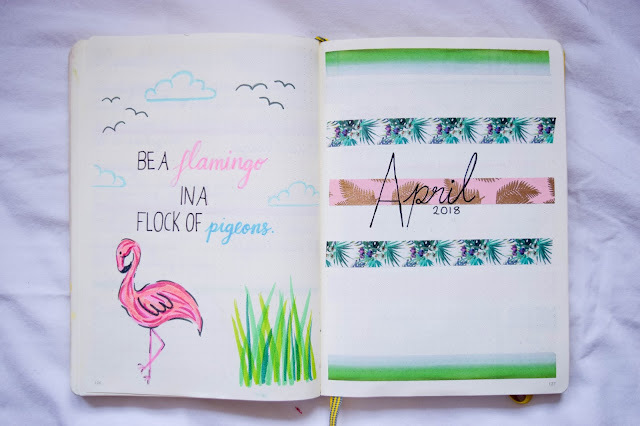 This time, because I didn't have much to put in March, I decided I might write things as the month goes on. Quotes from certain days, things that made me laugh, memories in general. So that if there is anything that can't go IN the envelope, I've at least written something on it. I hope this works because I really want it to! 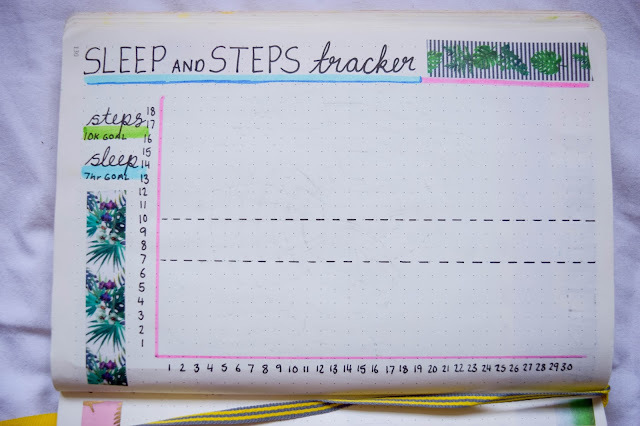 My sleep and steps tracker is something else I've decided I want to keep and in this format too. 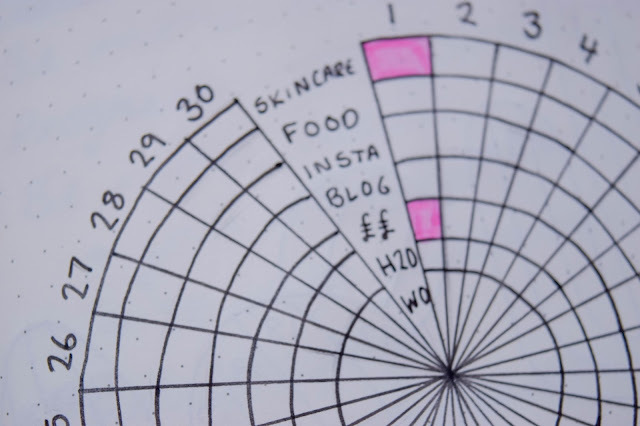 Last month I added the dotted lines to mark my goals. I know which ones for which so it's not confusing. Plus I'm toying with the idea of making it look like a bar chart but I think the linear chart helps me keep track of my sleeping and exercise patterns best. 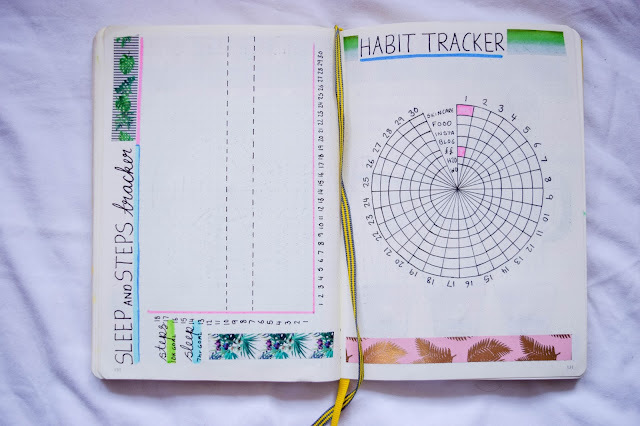 For my other habit tracker I decided to try the circular tracker I've seen so many do before on Pinterest. I know Ana did this one and it looked really cool so I decided to try it out too. I think it looks good and I like it! I just hope I'll keep track with it and see if it works best for me. We'll see! 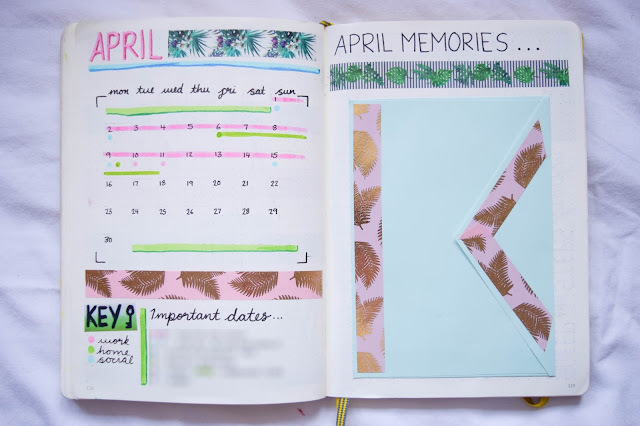 After seeing a number of different spreads on Pinterest there was one that was sticking out to me more than the others. It was pink with this sort of layout but it had more to it. I decided to try it out but keep it as simple as I could. 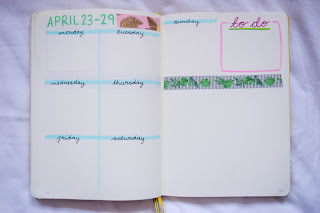 I liked the idea of 6 days on a page and then a big space for other things on the right space. I don't quite know what I'm going to fill it with yet but I was thinking maybe photos or doodles and stuff like that. Like a brain dump/memory type page? We'll see. 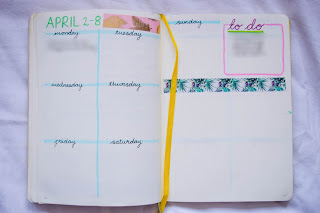 What I like about this weekly spread is that it's super simple and so didn't take me long to do. I don't think it's one I'll be using again but I did think maybe a bigger version for May. I won't decide just yet though, I think what I'll do is see how I get on with this one first! So that's it for April! 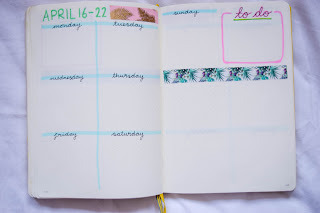 I do love the theme and that I got to use the washi tapes in almost every page. 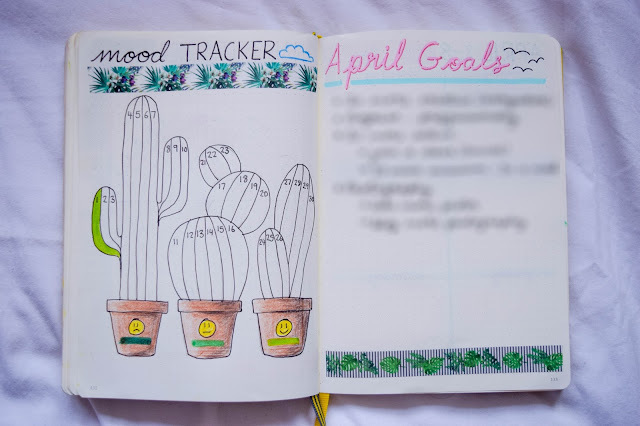 I think this might be one of my favourite themes, but then again I think I said that for every month I did when I finished it! I can't quite believe it's April already though. 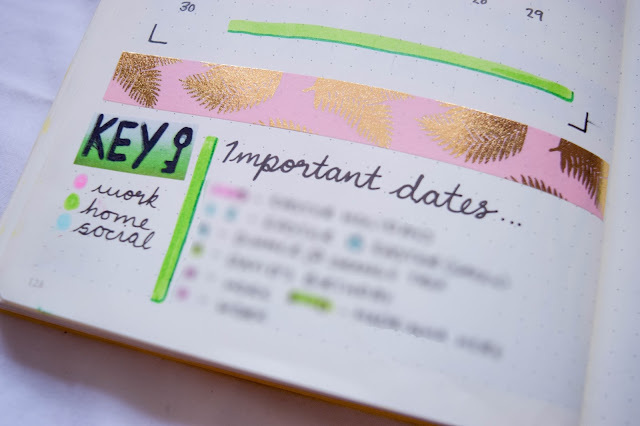 I've been bullet journalling for 8 months now and it's been brilliant! I'm also half way through my journal now. I think this is the most I've put in a notebook ever! Writing in a Leuchtturm1917 A5 Dotted Journal. 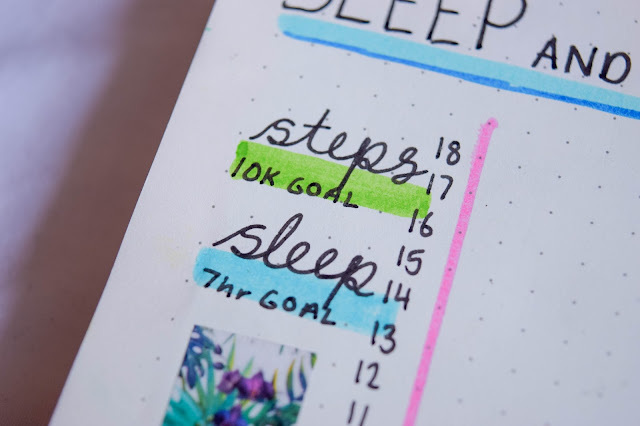 Do you bullet journal? 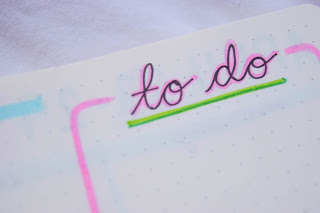 I'd love to see what your bullet journals look like! Share them with me on Twitter? I'm @CatttSays!